In a couple of days we will be present at Achema 2018 in Frankfurt am Main, Germany. Achema is a leading event for the chemical engineering and process industry which is held every 3 years. Previous editions of Achema attracted 166,000 participants from 100 different countries. At Achema 2018 we will exhibit a complete feeding system for ophthalmic bottles with an output of 300 bpm. The unit is designed according to the highest pharma standards and is specifically configured for installation under LF conditions (laminar flow). 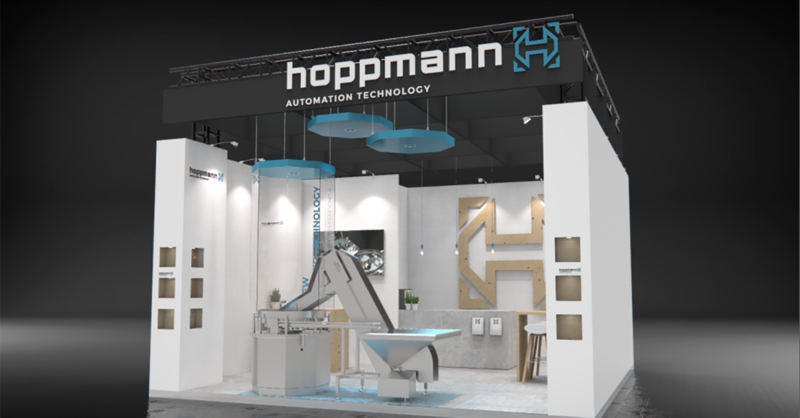 The Hoppmann feeding system on display meets the current trend to handle preservative free packaging components; all product-touching parts are certified and can be easily exchanged for autoclave cleaning. Furthermore the unit can be easily upgraded to a version that can withstand cleaning agents like H2O2. We look forward to welcoming you in hall 3.0, booth A7!